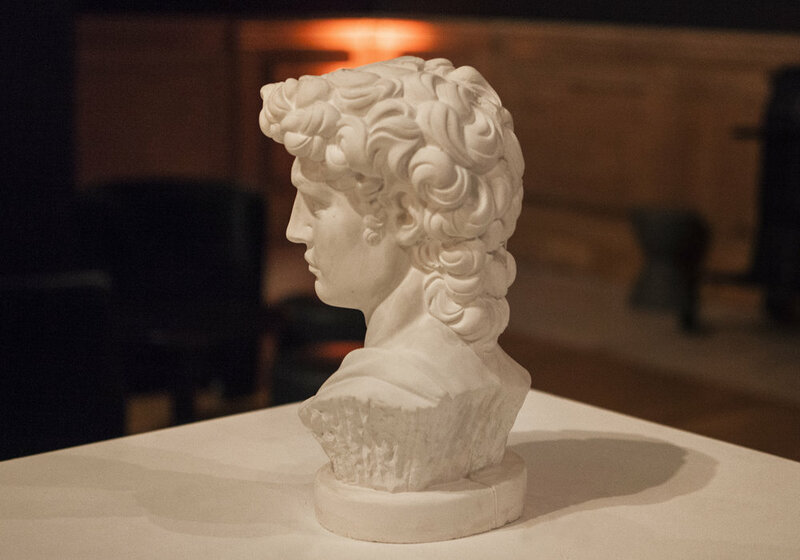 Taking inspiration from the classical elements of fire, water, earth and wind, AVM Curiosities presented a scented installation that united the iconography of two great artists. 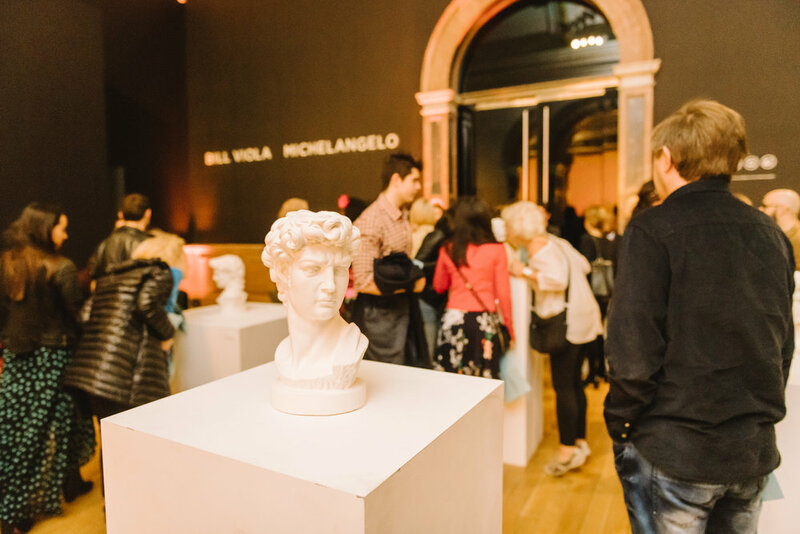 Olfactory Idols was a sensory homage to both Bill Viola and Michelangelo, creating an aromatic experience of masculine beauty, intimacy and memory | Part of the RA Late: Transcendence, Royal Academy of Arts, London, Saturday 30 March 2019. 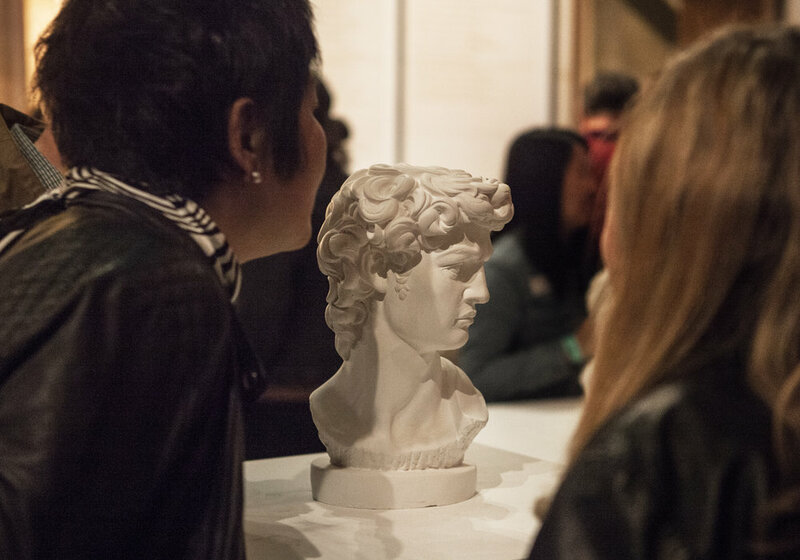 Olfactory Idols | AVM Curiosities | Part of the RA Late: Transcendence | Royal Academy of Arts, London | Saturday 30 March 2019 | Photos: Max Miechowski (1-9) & Kofi Paintsil (10-24). 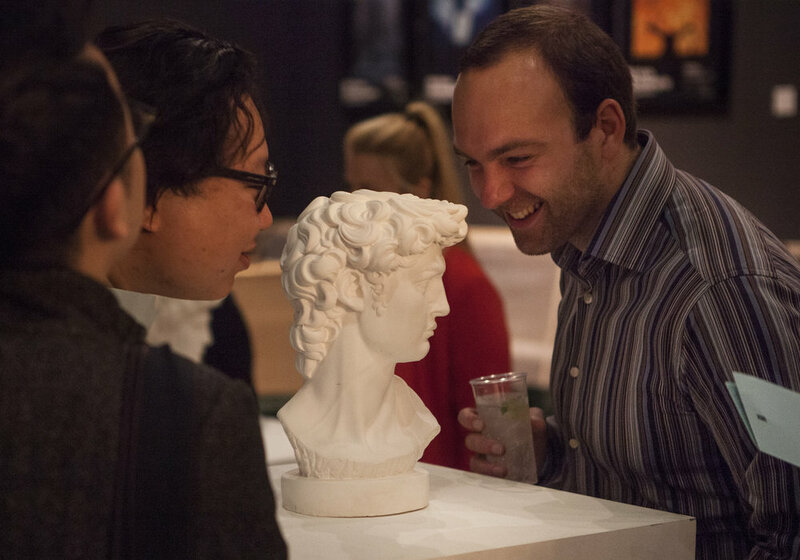 The Cabinet of Curiosity: LIVE is an immersive experience, which will transport attendees into a world of wonder. 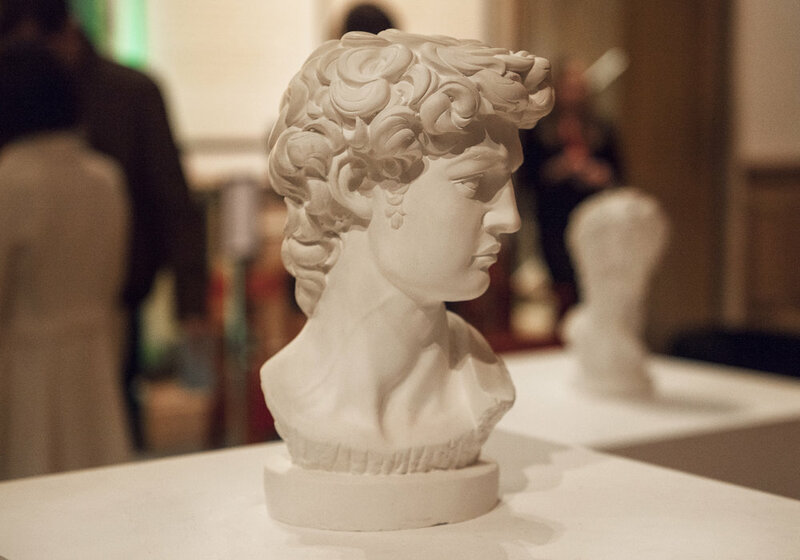 Curated by AVM Curiosities, the event draws inspiration from Two Temple Place’s exhibition The Power of Seeing, with themes of nature, beauty, and architecture. The performance will take attendees around the exhibition to interact with a series of artists and musicians. 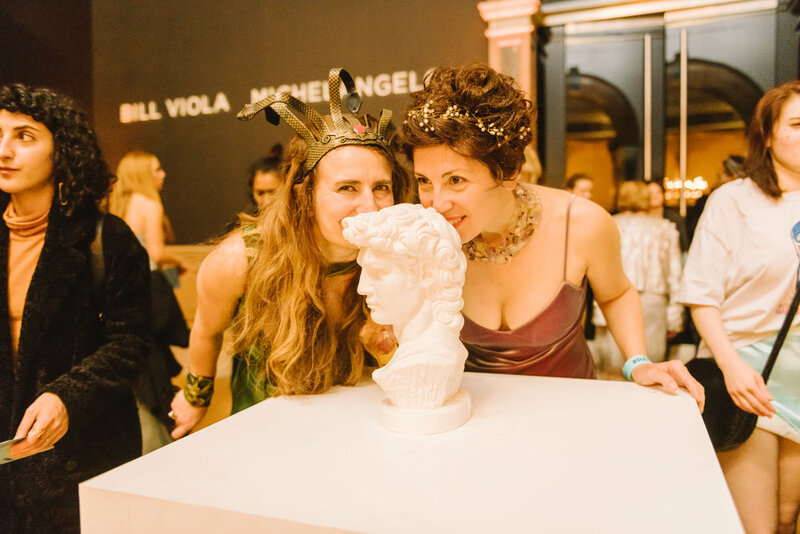 Drawing on the showmanship of the Renaissance Cabinets of Curiosity, Tasha Marks from AVM Curiosities will act as your host for the evening, presenting a collection of theatrical marvels, via the mediums of storytelling, music, perfume and poetry. 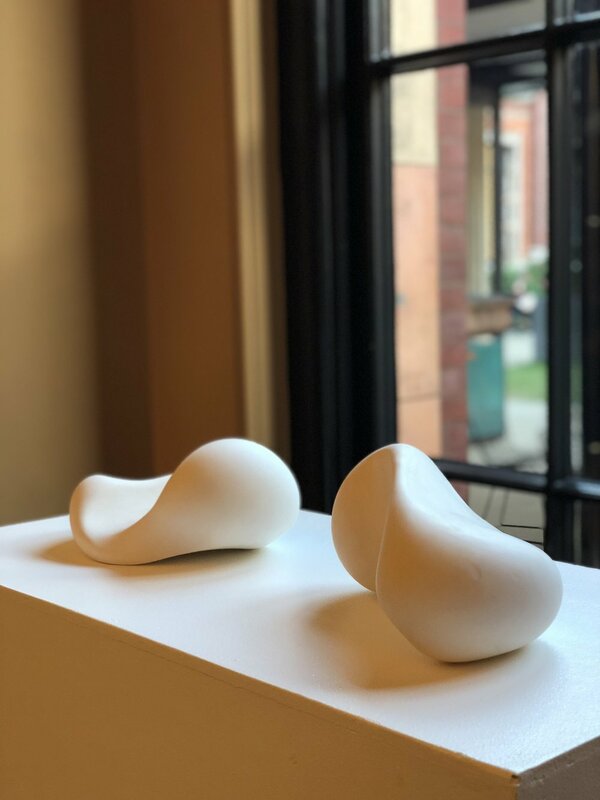 Tickets are £28.50 and include entry to the exhibition, all performances and 1 complimentary cocktail: ‘The Ruskin’ – which combines Sheffield Gin with tonic and subtle notes of apple & moss syrup. A non-alcoholic alternative will also be available (please email us to confirm this choice in advance). There are two sessions available, 6.30-8pm & 9-10.30pm | Please note that your ticket will only be valid for the entry time booked | For the 6.30pm session doors will open at 6.15pm, and the performance will start at 6:45pm sharp | For the 9pm session doors will open at 8.45pm, and the performance will start at 9.15pm sharp. Stumble Trip Theatre are a female-led physical theatre company born at the Jacques Lecoq School, Paris. Their shows combine movement, clown and cabaret focusing on empowerment and play. Stumble Trip have performed at Brighton Spiegeltent, Edinburgh Fringe, Camden People’s Theatre, The Wardrobe Bristol, Saddler's Wells Lilian Baylis Studio and Vault Festival. 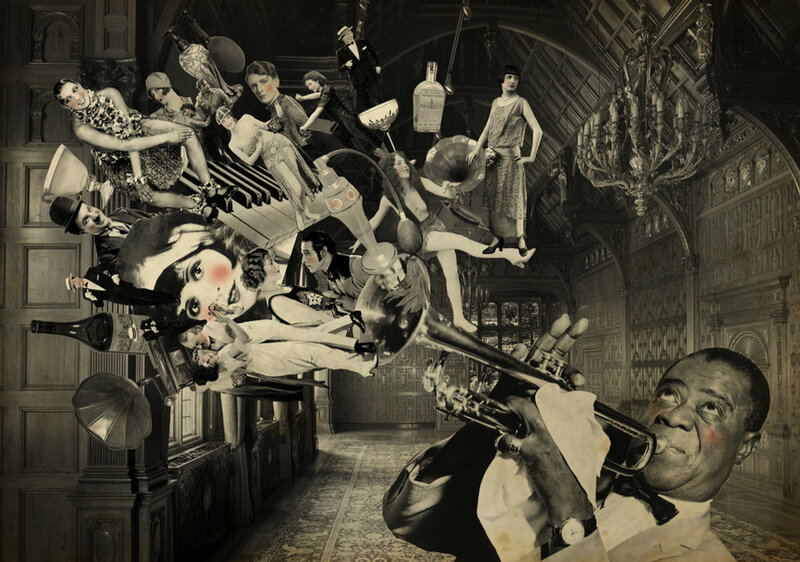 Nara Taylor trained in Music at The University of Surrey, specialising in performance. Since completing her degree she has studied with Peter Crockford at City Opera, and performed operatic and classical music for audiences all over the world. She has sung in such prestigious venues as The Cutty Sark, The Tower of London, and even The Royal Opera House. Her most memorable performance was singing in a cowshed, serenading cows as an experiment to increase milk production, and she was even featured on the BBC news, performing in a ball gown and of course, wellies. Sam Rix is an actor, writer, voice-artist, comedian and storyteller. 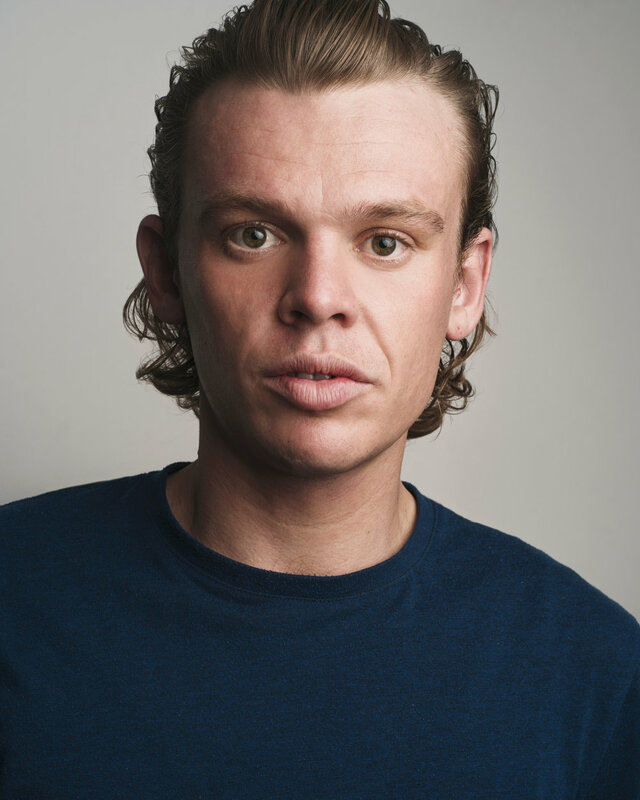 After training at the Royal Welsh College of Music & Drama he has gone on to perform on stage and screen with a recurring character on 'The Royals' (Lionsgate) and has recently finished filming on the latest series of Top Boy (Netflix). He has been a part of the BBC Radio repertory company, working extensively on their multitude of audio dramas, comedies and documentaries that fill the airwaves. He is a founding member of The Embers Collective, a storytelling and live music group that put on shows in intriguing locations. Having composed and produced the soundtrack for the BFI award-wining film We See Colourless, David Joyson went on to co-found and manage The Egg recording studio. 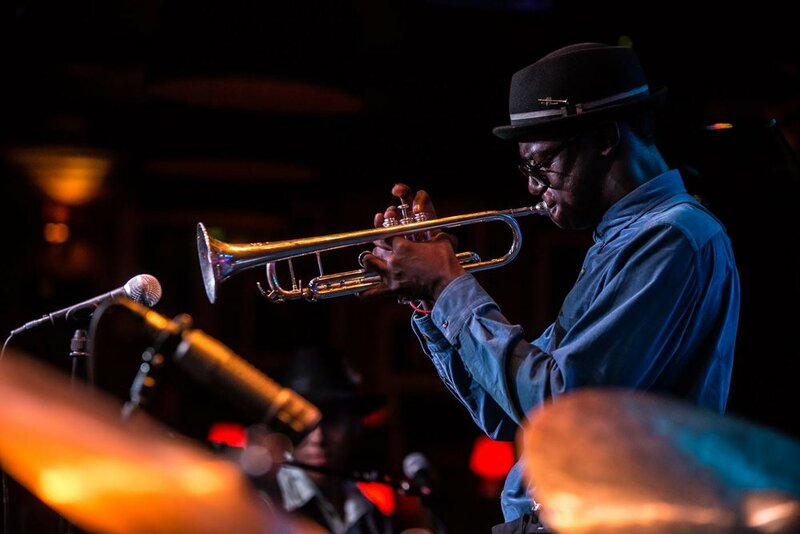 Performing in several bands before embarking on his current solo project, Stowaway. Joyson has also provided vocal for School of Hypnosis' reinterpretation of Terry Riley's minimalist masterpiece, In C and is a founding member of Haha Sounds - a London-based collective formed of a choir and accompanying instrumental group with roots in jazz, soundtrack and avant-garde music. 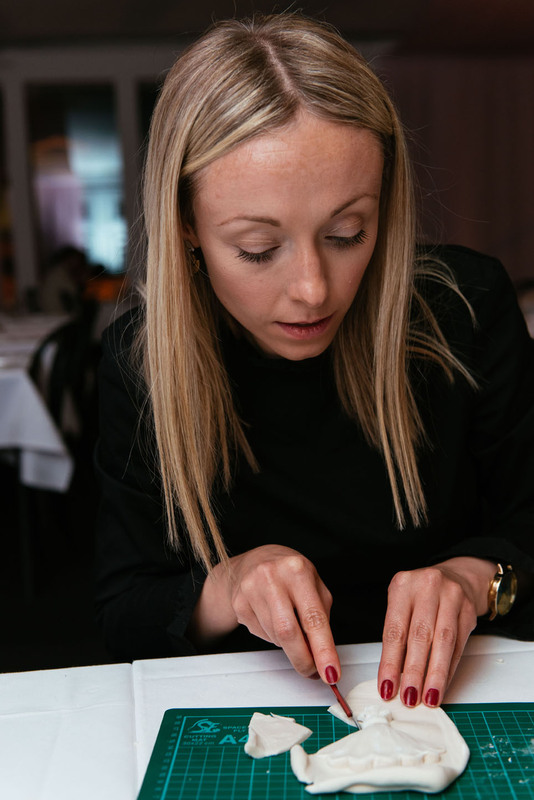 Tasha Marks (Host) is an award-winning food historian and artist, who explores the relationship between art and the senses. 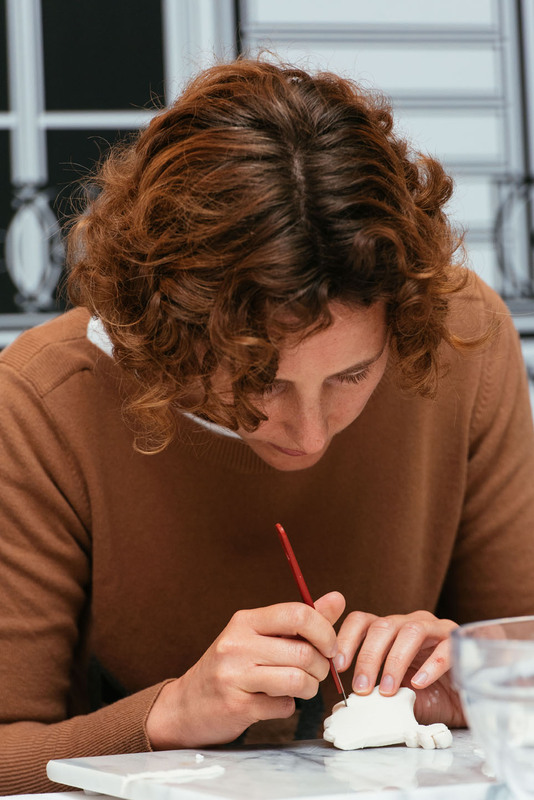 Her practice, AVM Curiosities, champions the use of taste and scent as artistic mediums, with projects ranging from museum exhibitions and sculptural installations, to interactive lectures and limited-edition confectionery. In the final episode of the Pleasant Vices series (*sobs*) I demonstrate how to make a sugar sculpture to adorn your table. Want to add some punch to your dinner parties? Or make a political statement at Sunday lunch? 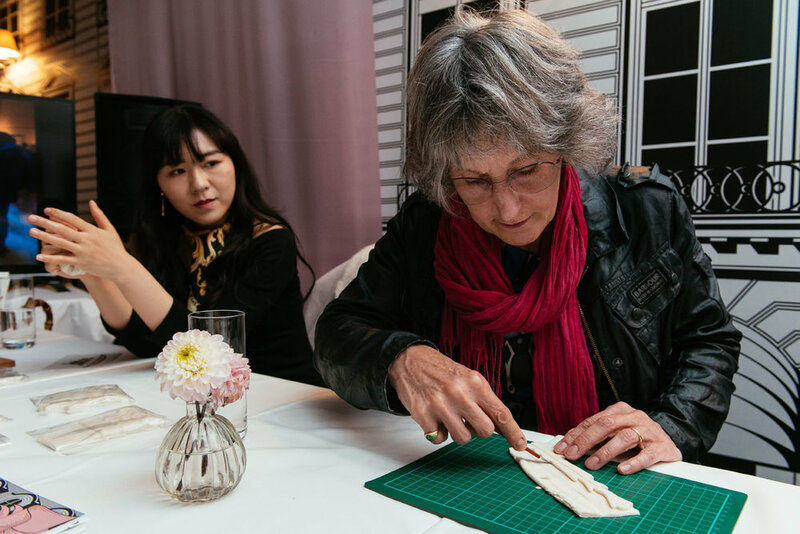 The history of sugar sculpture is one of status, power and storytelling, so what forms you choose to make and what tales you choose to tell are up to you - but it takes just three ingredients to create a decoration that could last for centuries. If you'd like to know more about the history of sugar, you can watch Part 1 of Episode 4 of Pleasant Vices here, or pop over to the British Museum blog to read my article, the story of sugar in 5 objects. And it's on this sweet note that Series 1 of Pleasant Vices comes to an end. I hope it's given you much food for thought, and that you enjoyed watching it as much as I loved making it. Thank you for watching, it's been a pleasure! and subscribe to the British Museum YouTube channel. In episode 3 of the Pleasant Vices series I'm joined by brewer Michaela Charles and beverage consultant Susan Boyle as we make an ancient Egyptian beer. Using traditional methods and ingredients, we aimed to get as close as possible to a beer the ancient Egyptians would have drunk. Our research started in the British Museum collection, with further input from curators and physical anthropologists to focus our findings. Combined with archaeological reports and chemical analysis of pots we refined our method, which was guided by an ancient Sumerian poem, the Hymn to Ninkasi (the goddess of beer). When I began this project, I believed (like many of my contemporaries) that ancient Egyptian beer would be revolting. I expected a thick, tasteless, gruel-like mixture that was mildly alcoholic. But the brewers on the team thought otherwise – quite rightly they argued there was no way the Egyptians would be making beer in such quantities if it was not good. But to all of our surprise, it didn’t just work, but it was absolutely delicious! 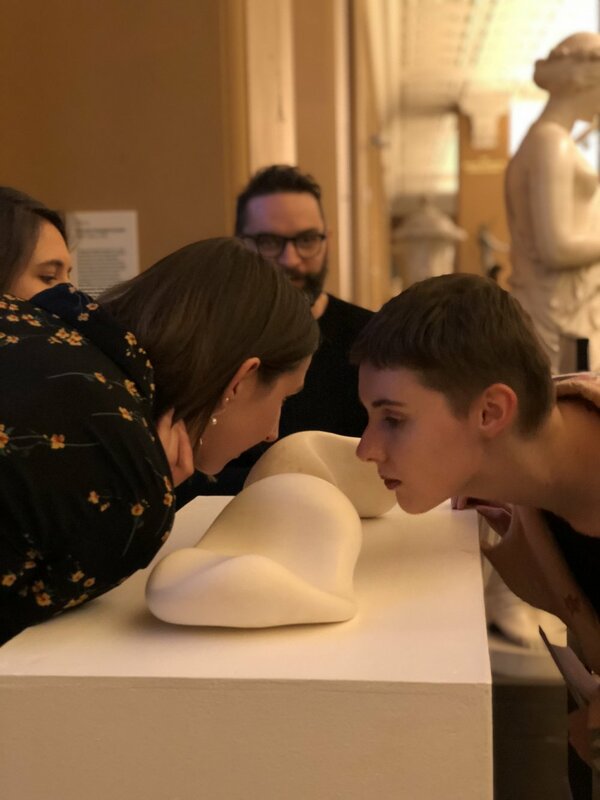 If you like what you've seen and would like to know more, pop over to the British Museum blog for my latest post about the project. Or if you'd like to have a go at make an ancient Egyptian style drink, check out recipe three in the Pleasant Vices series, my version of a Henket... for all those who don't have a large terracotta pot on hand to brew your own ancient Egyptian beer. Pleased to present the second chapter of the Pleasant Vices Series. In this episode I'm joined by master chocolatier Paul A. Young as we explore the British Museum's historical chocolatey connections. 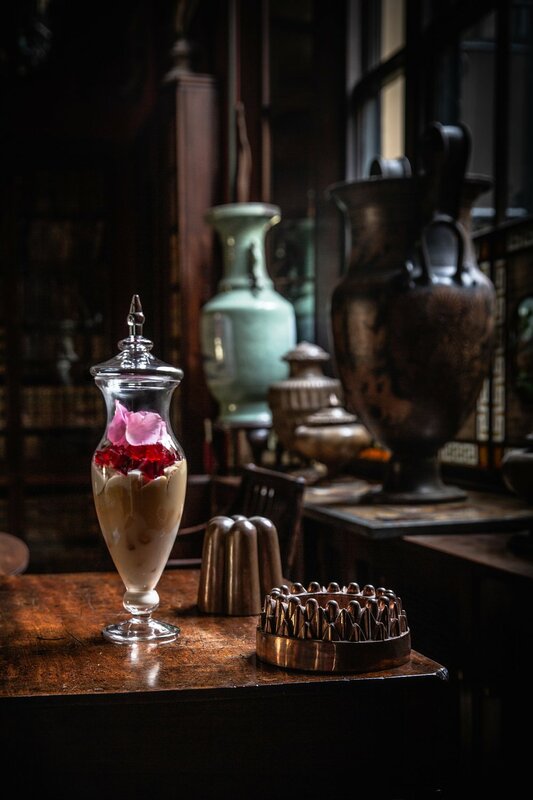 Join us as we discuss our 18th century chocolate champions and recreate a Georgian hot chocolate (introduced to London by British Museum founder Sir Hans Sloane) with a Mesoamerican twist. Then in part two of the 'Chocolate' episode, Paul and l follow on from our hot chocolate adventure to temper chocolate into a gorgeous chocolate replica of the Parthenon frieze (the mould was kindly made by the British Museum facsimile maker). To check out the method and mould you can watch the recipe video here. Together with the magnificent team at the British Museum, I'm proud to present the first episode of 'Pleasant Vices'. 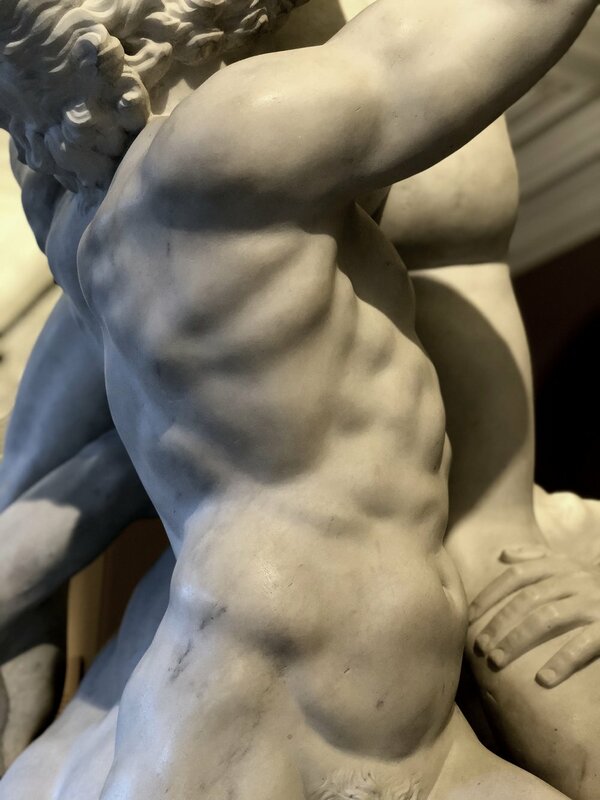 In this four-part YouTube series I'll explore the cultural backgrounds behind some of our guilty pleasures; beer, sugar, chocolate and aphrodisiacs - in relation to the British Museum’s collection and beyond. I'm accompanied by a whole host of experts, from food and wine specialist Susan Boyle to chocolatier and pâtissier Paul A Young. In this video, I'm joined by the brilliant Jennifer Evans, Senior Lecturer in History at the University of Hertfordshire, as we talk through some of the more intriguing foods that have historically been viewed as romantic pick me ups. And if that has left you wanting more than just food for thought, fear not, as in the second part of this episode, I have invented an aphrodisiac that you can make at home to enchant your loved ones. Inspired by a 15th century publication known as The Perfumed Garden of Sensual Delight, the recipe for my Aphrodisiac Nut Balls can be viewed here. 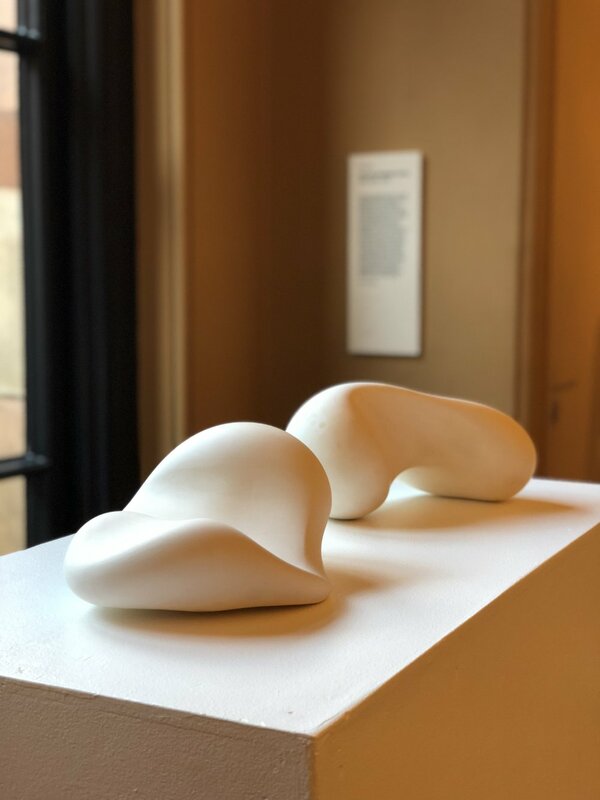 Inspired by the emerging field of Crossmodalism, The Sonic Sensorium explores the interaction between the senses; pairing music and sound, to taste and aroma, creating an all encompassing sensual experience. 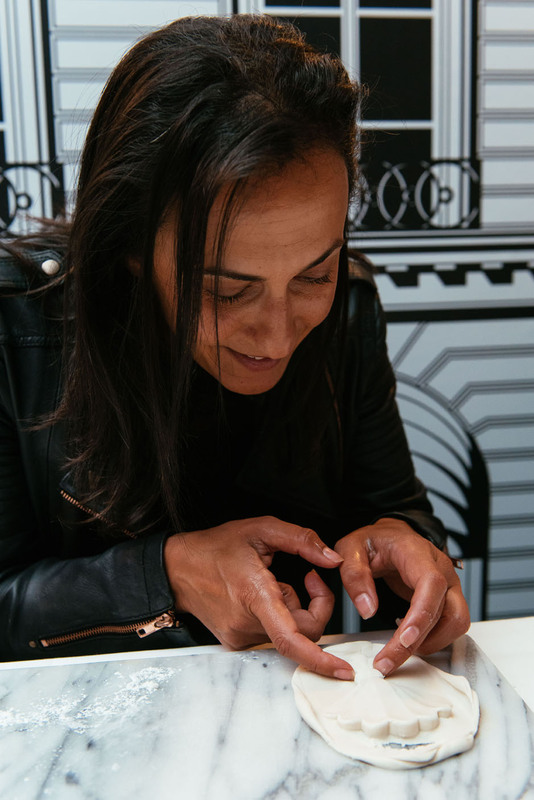 The Sonic Sensorium has been created by award-winning food historian and artist, Tasha Marks in collaboration with art collective, Acrylicize. 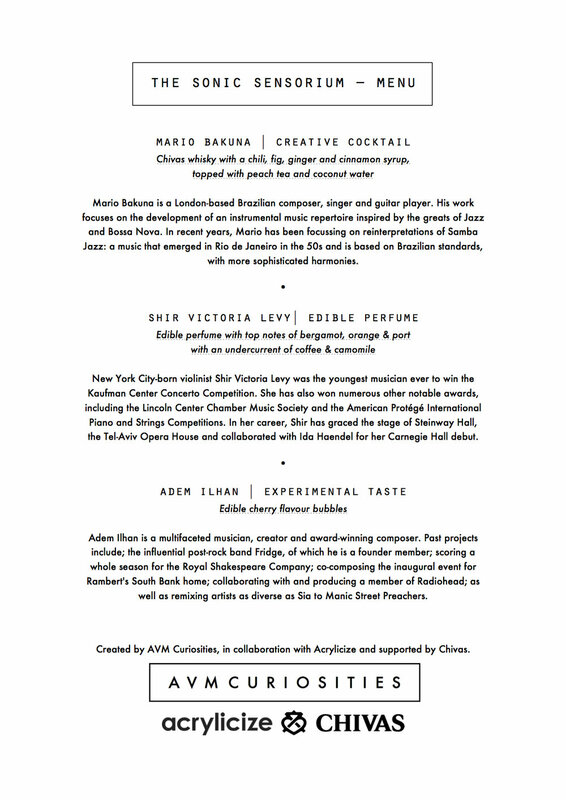 Join us in the hidden New York loft-style venue of Studio 7 Shoreditch for a concert and tasting menu that takes the work of three live musicians and couples them with either a creative cocktail, edible perfume or experimental taste. Tickets £25 | Available here. Who says you can't smell an old master painting?! 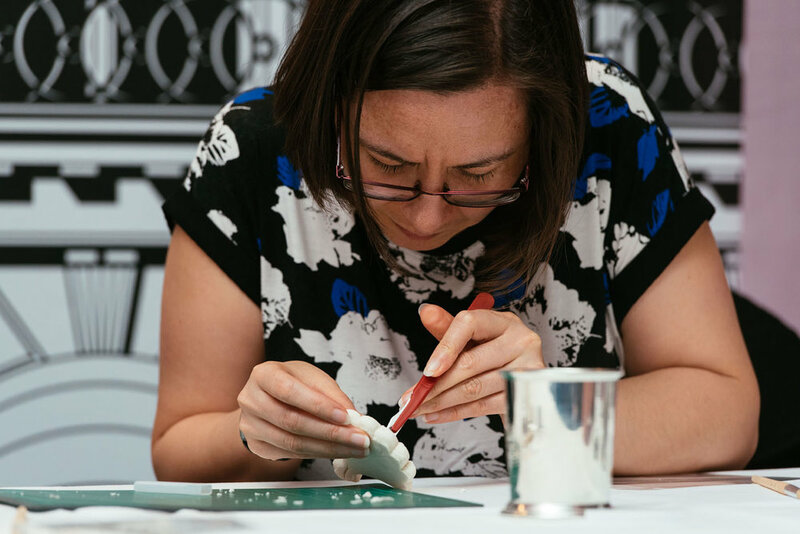 Ahead of Feast, the Dulwich Picture Gallery's next alternative Friday Late, we reveal how you can create your own aromatic interpretation of the collection. An Aroma-Tour should always start and end with the gallery space. What paintings capture your attention when you first walk in? Is there anything in the background of a painting that catches your eye? What stories are being told? What would that painting smell like? Start to think aromatically, not just visually. 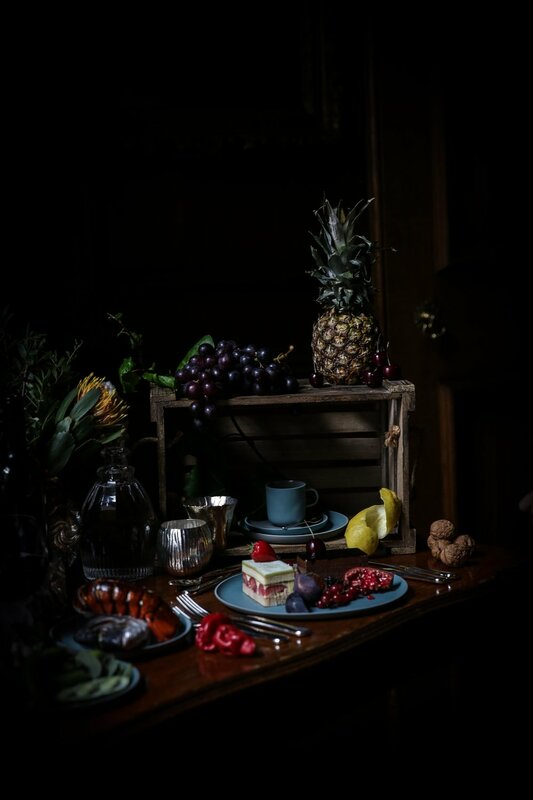 Smells that describe what is in the painting are interesting, for instance a feast scene with a lobster might be matched to the scent of boiled lobster, but it is also about storytelling. What smell could you match with that image to make you think about that scene in a different way? 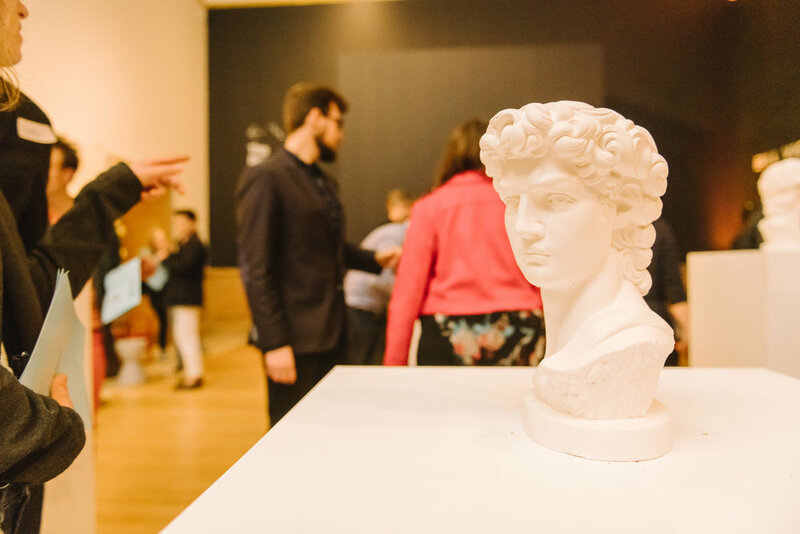 Explore the gallery, investigate the collection, and pick a shortlist of 5-10 to go home a research in depth. Buy books, go on the internet, use the gallery archive and research each painting you picked. What’s the story? Who’s the artist? Where was it painted? Start to think about the details of the painting, the interaction between the figures, the décor in the rooms, the time and space in which it was set. Research the stories within, and see if any tangents or ideas begin to emerge. From your shortlist, choose 3-4 paintings that you have come up with an aroma pairing for. If you think The Nurture of Bacchus (Gallery 12) would go great with the smell of red wine, choose that one. Perhaps you liked the painting of Princess Victoria aged Four by Stephen Poyntz Denning (Gallery 1), that used to be reproduced on biscuit tins, so I’d pair it with the smell of biscuits! Once you have your final list, make a little menu with the details of the paintings, the smell and why you think it matches. This is the point where you try to source your aromas. There are a huge amount of perfumes and essences available online so you should be able to find or blend most things. If you can’t find what you need, you can try and make your own by creating an infused tincture with alcohol, or making a natural extract using a flavourless oil as a base. Once you have all your smells, infuse them onto a perfume tab (or a thick strip of paper) by dipping it in and allowing it to dry for 30mins before packing it into an airtight container or polythene bag. Atomisers would also work, but most galleries do not allow liquids in the gallery space or near the paintings so these would not be advised for an Aroma-Tour. With perfume tabs in hand go back to the gallery and sniff as you see! 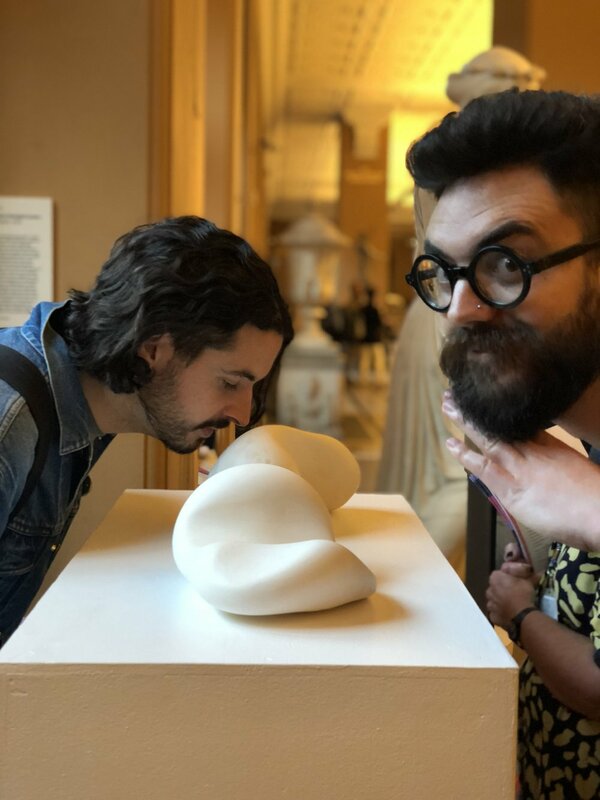 You’ll start thinking about the paintings in a different way and get your friends and family to experience it differently too. 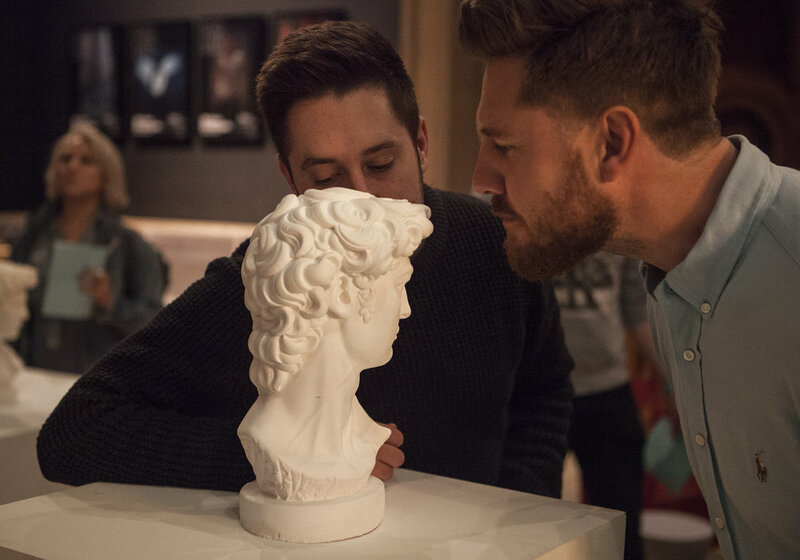 Smell is the sense most closely linked to memory so it’s an acquaintance with an artwork that you’ll never forget. Alternatively, if this sounds like a lot of hard work, fear not! 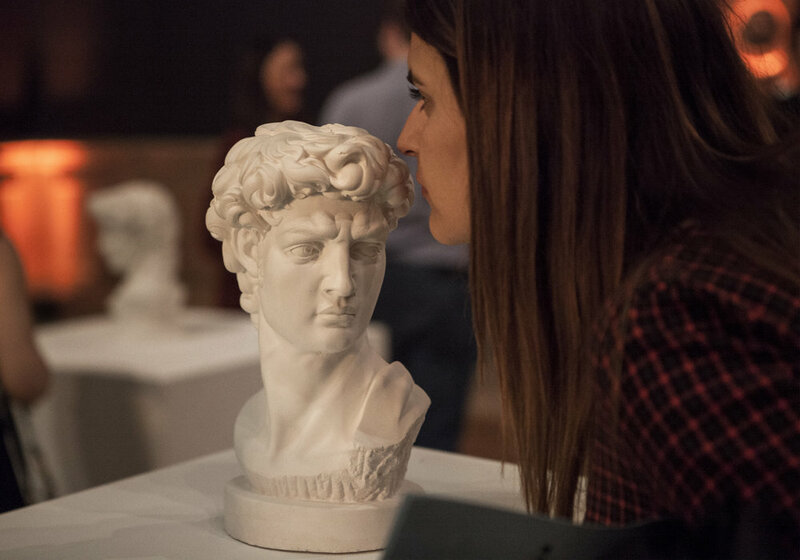 AVM Curiosities have devised their own Aroma-Tour at the Dulwich Picture Gallery, as part of the Feast Late on October 6th. Alongside the host of other exciting activities, you can see and smell what we chose as our pairings… without the need to make your own lobster essence. 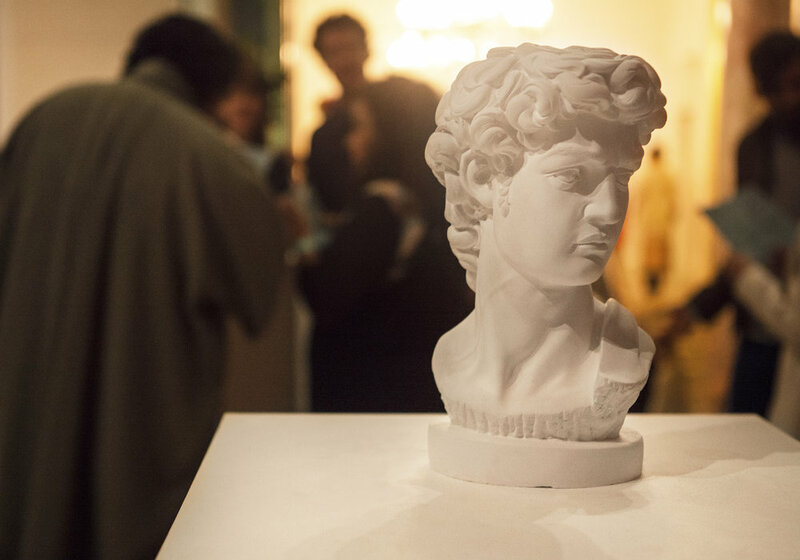 The Aroma-Tour | Feast Late | Dulwich Picture Gallery | Gallery Road, London, SE21 7AD | Friday 6 October 2017 | 6-10pm | Tickets £12/10 | Click here for more information. Created by AVM Curiosities for The Oxford Symposium on Food and Cookery. We're delighted to announce that AVM Curiosities have been long-listed for the Aesthetica Art Prize 2017. Alongside the final one hundred artists, AVM Curiosities' installation, Obsidian Air, has also recently been published in Future Now, the Aesthetica Art Prize Anthology 2017.